I am sure you already know the struggle of finding the right restaurant for a dinner date in New York City. 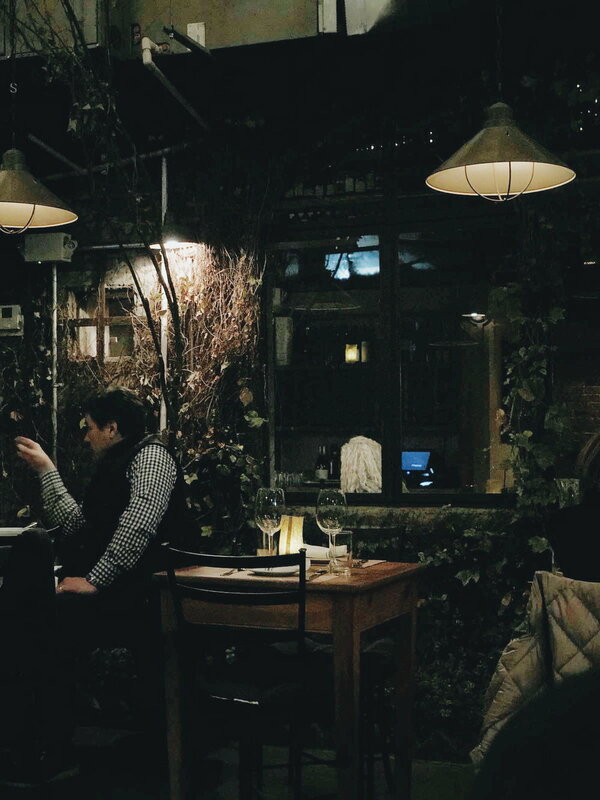 It’s either too crowded, too loud, or too expensive… But thank God I finally found the most perfect place for a romantic dinner in the city: Aurora in Williamsburg (you can thank me later). 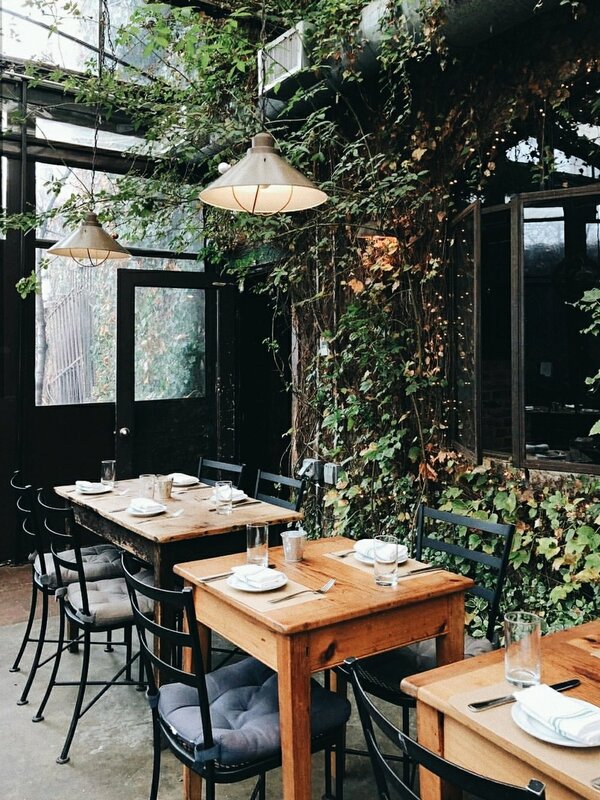 The asset of this place is definitely the outdoor patio, which is covered during winter and decorated with cute little lanterns. The place is so magical, that it is frequently used for weddings! 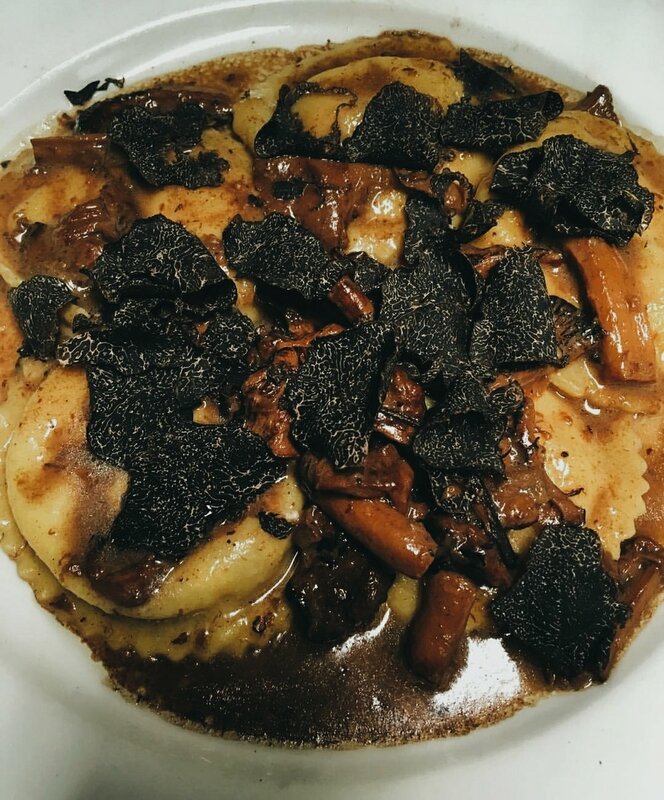 Rome native Gaspare Villa named his rustic restaurant after his favorite place in Tuscany. “I used to drive two and a half hours to get there,” he says. The commute from Manhattan to Williamsburg is much quicker (I swear! ), and definitely worth it. Let’s talk about the food now! Aurora’s homemade dishes laced with pristine seasonal ingredients are quite rustic but impeccably executed. The menu often changes to stay original, and to me the bonus of this place is their commitment to use fresh and organic ingredients. 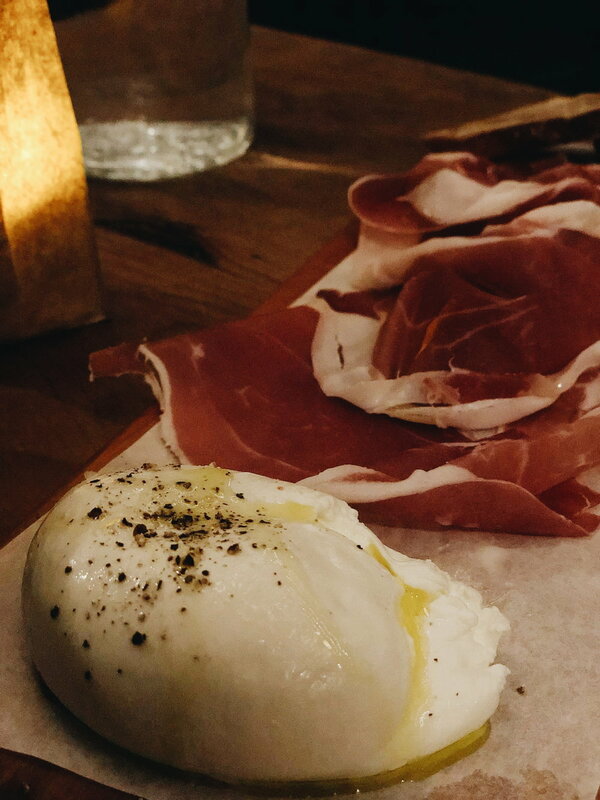 One of the best antipasti specials I had, is the prosciutto and fresh burrata with black truffle shaved on it. I would also recommend the roasted Cauliflower with cherry tomato confit, aged ricotta, and salmoriglio, a typical Roman dish. 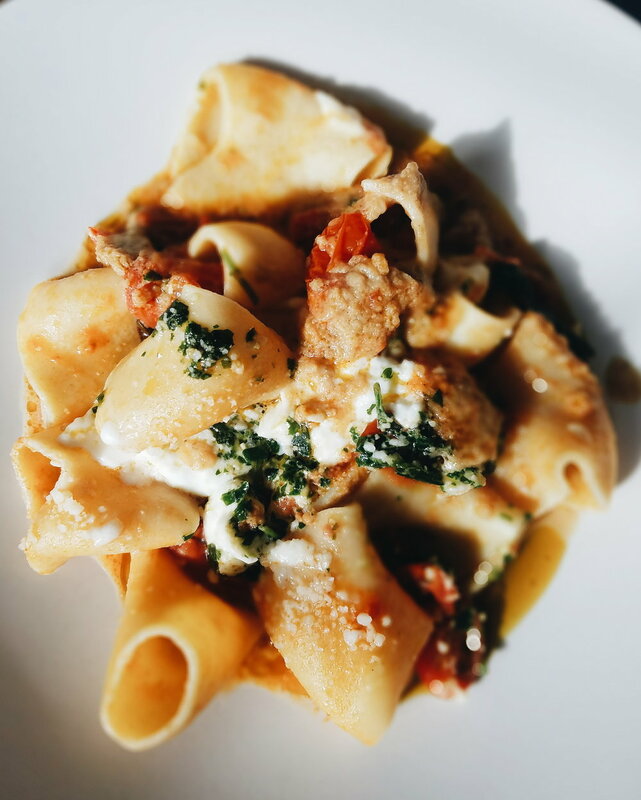 Regarding the homemade pastas, I had a huge crush for the Paccheri (smoked eggplant puree, tomato, buffalo mozzarella and pine nut pesto), and the Pappardelle with Maitake mushrooms, and crushed black truffle from Périgord. 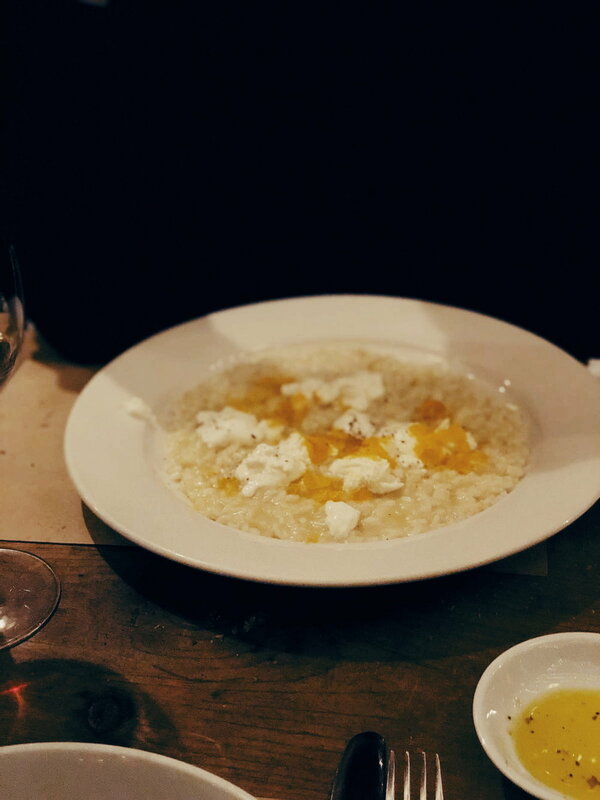 But my favorite plate was by far the Risotto with mozzarella di Bufala and Bottarga… I am literally obsessed with it. Well, I hope this restaurant will help your dating experience in New York, as it helped mine! PS: Last but not least, enjoy a bottle of Montepulciano, one of the best I had in New York!